William Franklin Claydon, 4795 Jackson Ave., Liberty, and George Arthur Toth, 877 Turkey Branch Rd., Liberty, have both been charged with Aggravated Burglary and Theft Over $500 by the Cannon County Sheriff’s Department. It is alleged that on or about April 15, Claydon and Touth entered a residence on Gassaway Road by kicking the door open and stealing an antique chair, coffee table, three iron skillets, toys and several other items valued at over $500. The theft was reported on April 20 by the purported victim. The victim later contacted the sheriff’s department to report she had located some of the items at Hidden Treasures. Deputies recovered some of the stolen items there and interviewed employees. 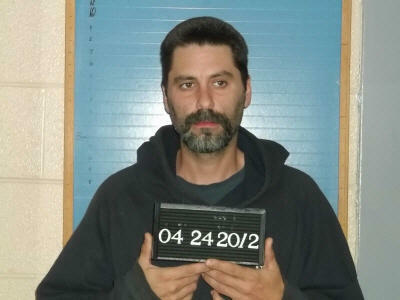 On April 24 Claydon was arrested at Hidden Treasures after his vehicle was observed there. Toth was arrested the next day at his home. Toth was with Claydon when the items were sold to Hidden Treasures. Total bond for Clogdon was set at $11,500. Toth’s bond was set at $1,500. Initial court date for both alleged offenders is June 5.